By Imbibe Articles, Wine + Beer October 13, 2017 Photo courtesy Founders Brewing Co.
Every fall, hopheads rejoice when the season’s newest batch of fresh-hop beers start appearing. 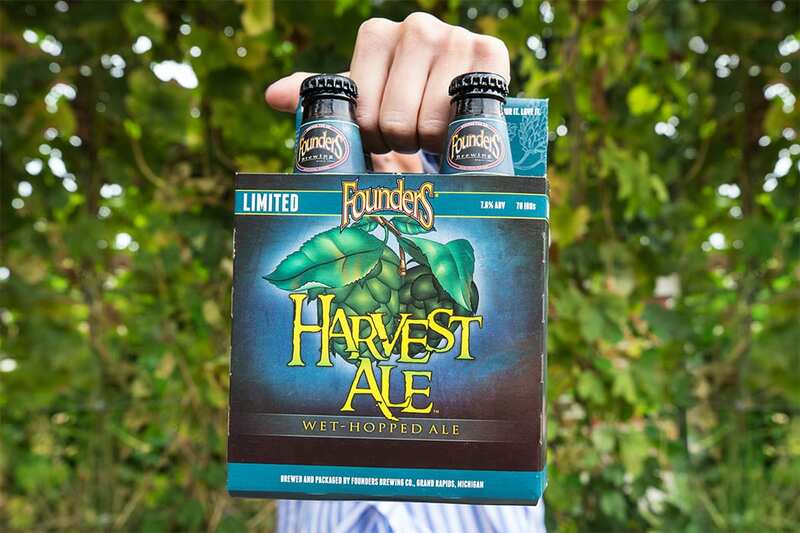 Made with hops usually brewed within a day of picking, fresh-hop beers (also called wet-hop beers) allow the flavors and aromatics of hops to shine in a totally unique way, and the Harvest Ale from Founders Brewing is one of this year’s standouts. We visited Yakima recently with the Founders crew to see how they select the Washington hops used in beers like their All Day IPA and Mosaic Promise, but for the Harvest Ale, they use 100% Michigan hops. Opening with a crisp backbone, this IPA sings with resinous pine and finishes with a burst of bright lemon zest. Don’t sleep on it, though—4-packs and kegs will only be available through October.